This is an Arsenal official replica shirt, signed by Arsenal Legend Thierry Henry. The item was personally signed by Thierry in London, 18th November 2016 in his first official private signing session. 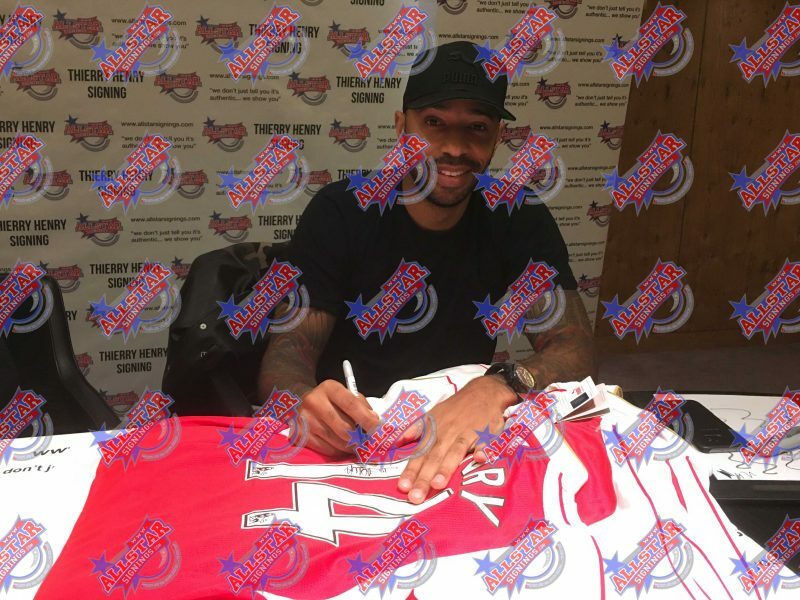 Allstarsignings have an exclusive autograph agreement with Thierry Henry and all items will include in the certificate of authenticity, photo proof of Thierry at the signing. 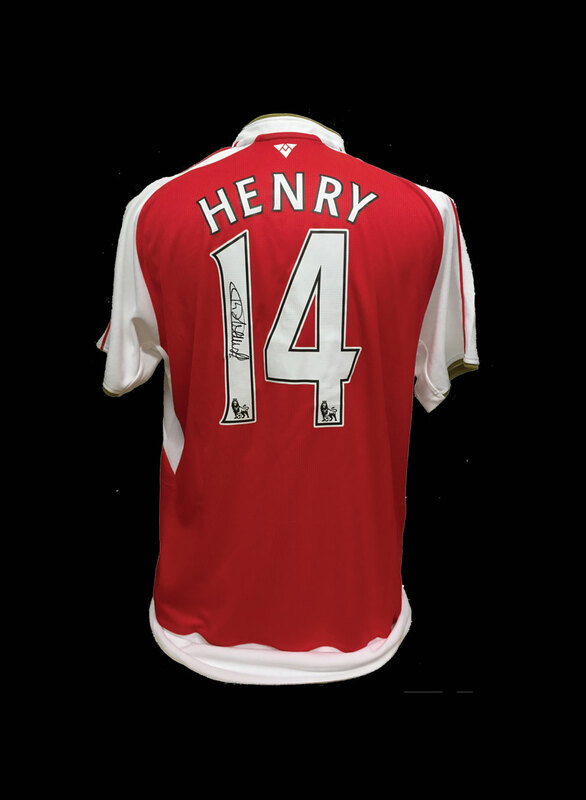 Here is a VERY RARE opportunity to own a hand signed Thierry Henry Arsenal shirt. His autograph is one of the hardest to obtain and one of the most faked!! Henry made his professional debut with Monaco in 1994. Good form led to an international call-up in 1998, after which he signed for the Serie A defending champions Juventus. A year later he signed for Premier League club Arsenal for £11 million. It was at Arsenal that Henry made his name as a world-class player. Under long-time mentor and coach Arsène Wenger, Henry became a prolific striker and Arsenal’s all-time leading scorer with 228 goals in all competitions. 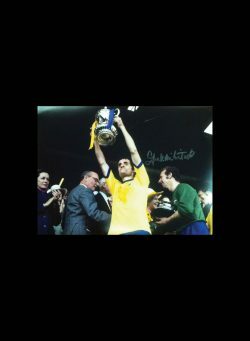 He won two league titles and three FA Cups at the club. In 2003 and 2004 Henry was runner-up for the FIFA World Player of the Year. He was named the PFA Players’ Player of the Year twice, and the FWA Footballer of the Year three times. Henry spent his final two seasons with Arsenal as club captain, leading them to the 2006 UEFA Champions League Final. 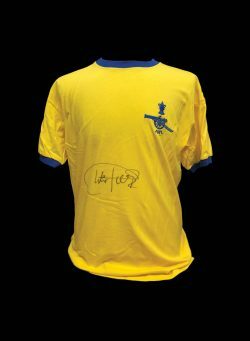 This is an Arsenal official shirt, signed by Arsenal Legend Thierry Henry. 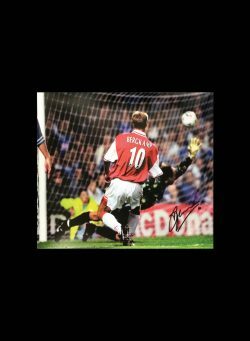 The item was personally signed by Thierry in London, 18th November 2016 in his first official private signing session. The item comes with an Allstarsignings certificate of authenticity which will have photographic proof inserted into it and our tamper-proof hologram. Alan Smith signed 1994 ECWC storyboard. 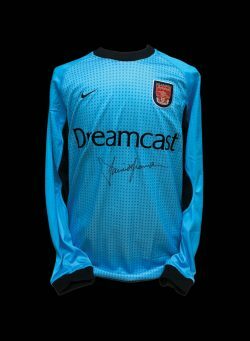 David Seaman signed Arsenal Goalkeeper shirt.